None of us knew where it was. My friend drove and she didn't miss the big yellow sign when we got to Chong Mon. My Thai friend had never had Korean food. I was glad I introduced her to it. 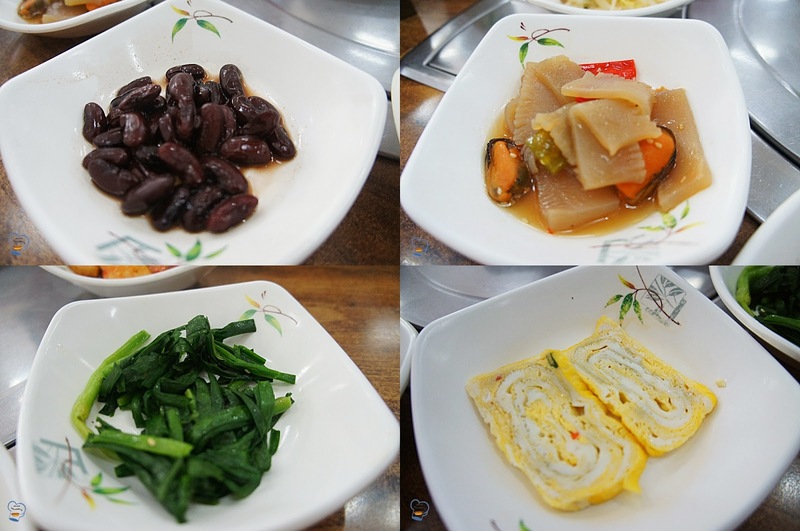 While waiting for the main course, various banchan (side dishes) were served to us along with rice. Here's what the owner calls Korean style papaya salad. Crisp and moderately spicy. I like that character in many Korean dishes. The level of spiciness is tolerable. I can discern the ingredients without burning my tongue first. Nine banchans were served to us. Can you believe we ate them all? I love anything with tofu. I wanted the two ladies to try doenjang jjigae, a tofu stew made with some vegetables and soybean paste. The soup was so good I finished it even my tummy was already sending signals to stop. 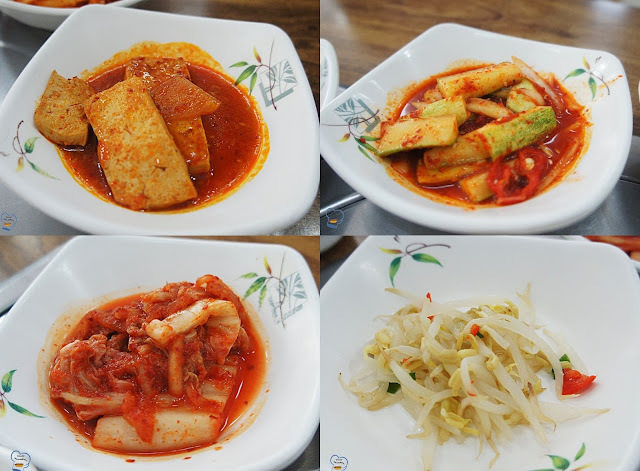 Tteokboki is soft rice cake and fish cake in sweet red chilli sauce. My Chinese friend loved this. The portion was big enough for the three of us so she took home what was left. Gimbap is Korean seaweed rice rolls, similar to Japanese sushi. We ordered too much carb. With the bibimbap and the rice which was served with the side dishes, it seemed impossible to finish them off. I was already having a heavy feeling in my tummy when I remembered I hadn't eaten it. I had a piece and the two ladies were able to slowly munch the rest. My favorite is bibimbap. I have had it several times before. The portion is enough for one person. I knew I would be able to eat it all so I suggested each of us get Korean rice mixed. Sharing was not allowed. Haha. Bibimbap is rice served with namul on top and chilli pepper paste to taste. A raw egg is also added. Mix everything and you get a tasty rice dish. I liked it a lot that I did not leave anything on my plate. We enjoyed the Korean feast to the fullest! Low tables are available if you prefer sitting on the floor.